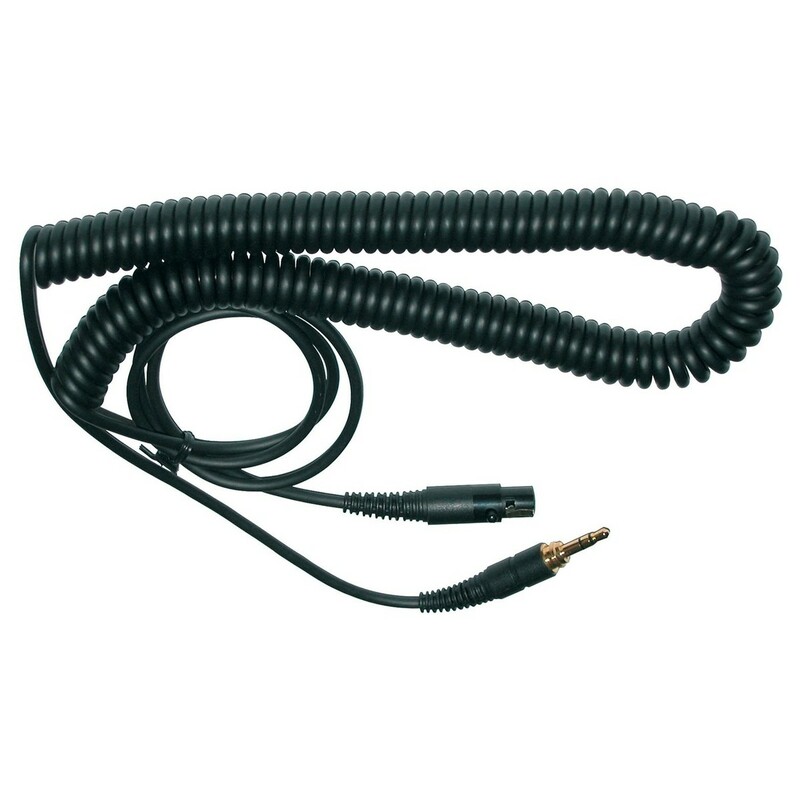 The AKG EK500 S headphone cable is a coiled replacement cable for headphones. It runs from a mini jack plug at the source end to a mini XLR plug for connecting to the headphones. The coiled cable is 5m length.